When your window is the highlight of your living room, don’t hesitate to customize your room around the window treatments and tint. From stained glass to awnings and bay windows, homeowners have always discovered ways to maximize the beauty of a window by using different shapes and colors. In a way, the right window isn’t just a functional way to let the light inside your home, it can actually become the centerpiece of a room. And the window itself isn’t the only thing of beauty, window treatments and tint are just as important in shaping the energy and attractiveness of your living space. But choosing window treatments is hard, especially because it’s important they match with sometimes existing features like wall paint and flooring. The last thing you want is to invest in curtains, only to find they don’t match. The same goes for window tints, which can completely alter the brightness of your room. If you’re not careful, you could find yourself in a room that feels like a cave! 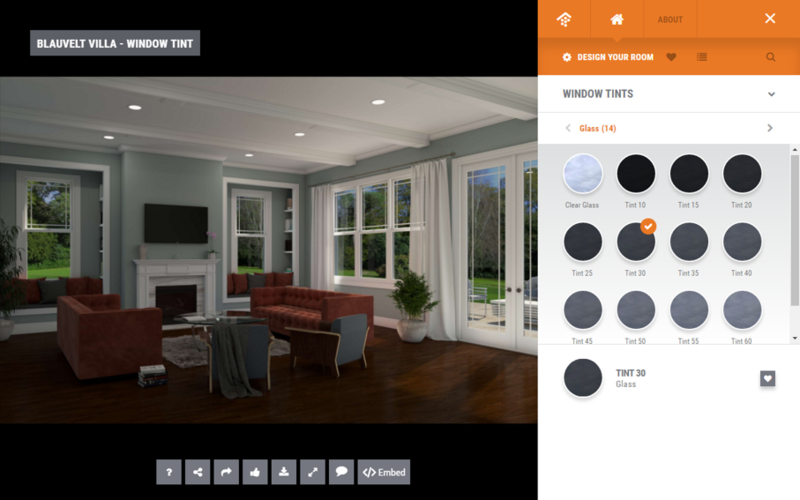 My search for living room curtains and whole-house window tint led me to the Mikeli Curtains Living Room Virtual Room and the Blauvelt Villa Virtual Room, two interactive home design tools from House Tipster. 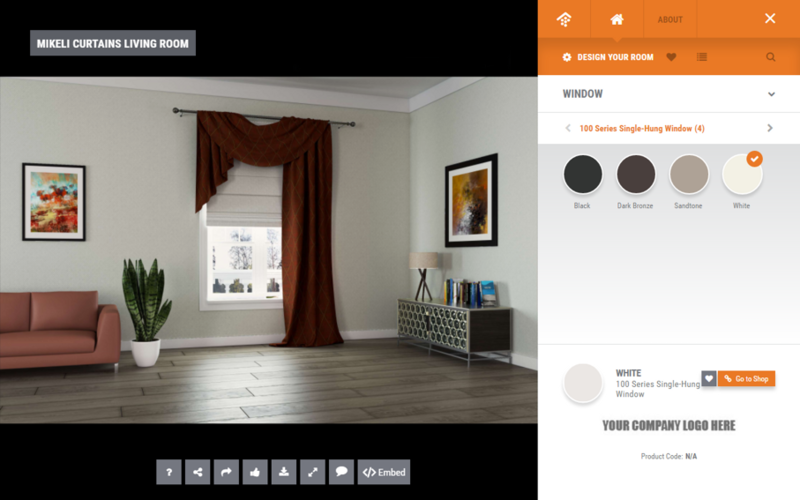 Because of these virtual rooms, I was able to find the perfect curtains and tint for my living space. The Mikeli Curtains Living Room features staple elements found in most living rooms, including a simple window, solid walls, a couch, and a console table. 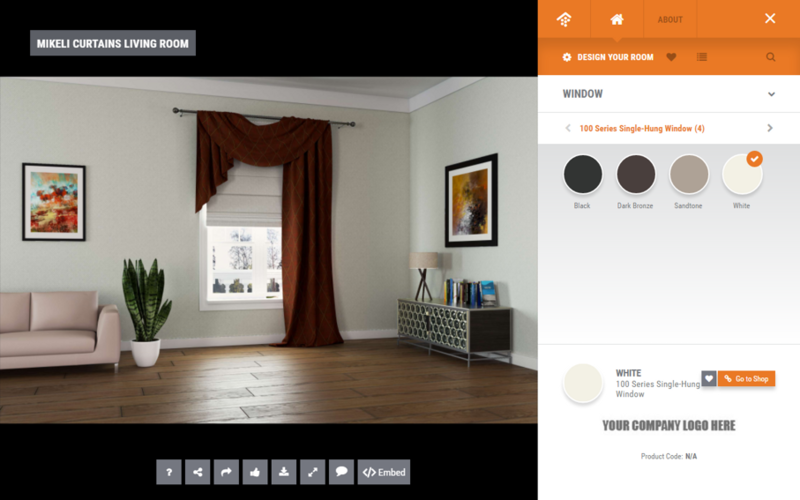 Since it’s a standard layout, I knew I could easily customize the space to match my current living room. I decided to bypass the wall color, which was labeled “Walls” on the component list because it so closely matched my living room. From there, I tackled the wood “Floor.” The Brocante wood resembled the pine found throughout my home. Wow, this virtual living room is already almost identical to my own! Our sectional sofa is a light ivory, just like the Alfa 253 leather “Sofa.” It was another easy choice! Finally, it was onto the window customization. Under “Window,” I found four color choices for the window frame. It wasn’t a feature I’ve thought much about before, so I went to my own windows and verified they were a light brown similar to Sandtone 100 Series Single-Hung Window. Hmmm… I could’ve sworn they were white. It was a good thing I checked! For the main event, I needed to find the right curtain for my living room. While all 20 options were beautiful, I knew a deep red would offset the ivory of the couch. Therefore, I chose the beautiful fabric already auto-populated in this room. It’s such a deep, rich hue which can help add spice to an otherwise minimalist space. The whole process of choosing curtains for my room was absolutely painless! The Blauvelt Villa, the other House Tipster Virtual Room I wanted to try out, is a well-appointed room with windows surrounding the seating and entertainment area. Because of all the natural light, this room almost feels like an outdoor space. In a way, the layout in Blauvelt is indistinguishable from my home’s sunroom. I’ve been back and forth about window tints for rooms throughout my home. I often wondered, if a tint would block all the natural sunlight. But at the end of the day, there were rooms in my home (like my sunroom) that heated up a little too much during the hot summer months. Window tint could definitely remedy this problem! Thankfully, the Blauvelt Villa offers 14 different window tint options ranging from Clear Glass to Tint 10 and 15. Slowly, I worked through the list, keeping a running score of my favorite tints. I determined that Tint 20 would be perfect for my bedroom since it provides a substantial darkening. However, Clear Glass was a much better option choice for my living areas and Tint 60 was ideal to offset some of the glare in the sunroom. As you navigate the Blauvelt Villa yourself, you’ll notice each of the Window Tint options seem dark. Yet, selecting them and then seeing firsthand the true effect shows a completely different look. I could have never chosen a window tint based on these “splotches” alone. Thank goodness for this virtual room! Now that I have curtains and window tint ideas, I’m ready to start shopping. Before long, I’ll have better control over the sunlight and atmosphere throughout my home. 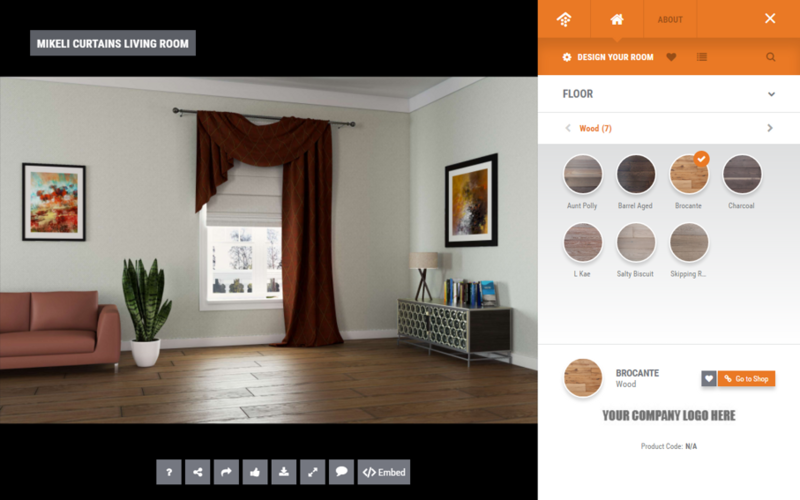 Go ahead and try these interactive virtual rooms yourself. Then, let me know what components you chose. Who knows, you may inspire others with your design tastes!